Today, I'm reviewing The Miracle Worker (1962), starring Anne Bancroft and Patty Duke. 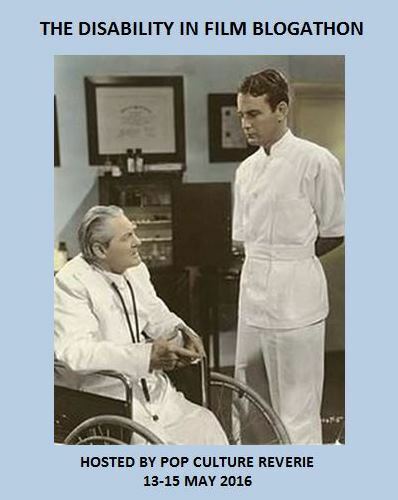 This article is part of The Disability in Film Blogathon hosted by Pop Culture Reverie. Helen Keller lived most of her life with profound disabilities, but that did not stop her from becoming an internationally renowned author, journalist, and speaker. 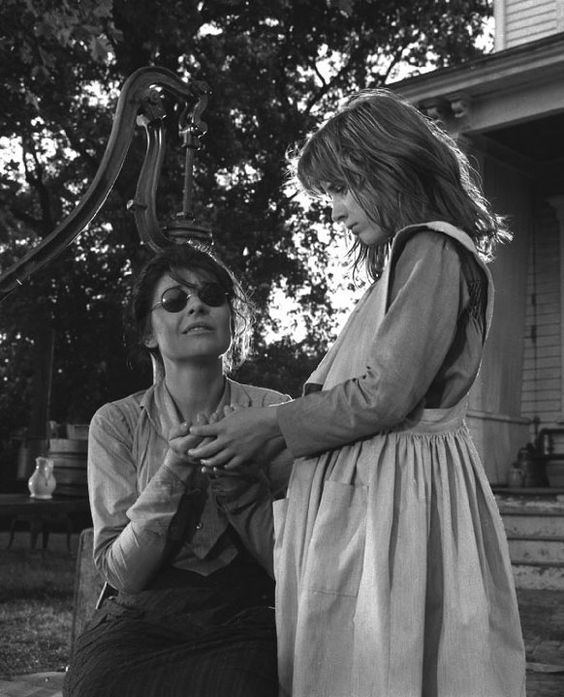 The 1962 drama, The Miracle Worker, tells the story of how Helen, who was blind, deaf, and mute, learned to communicate with the help of her beloved teacher, Annie Sullivan. The Miracle Worker begins in 1882, when Helen is a 19-month-old baby who becomes blind and deaf after a severe bout of scarlet fever. Her frustrated parents (Victor Jory and Inga Swenson) don't know how to communicate with or control Helen (Patty Duke), so she grows up like a wild animal, wandering around in dirty clothes and eating off of other people's plates during dinner. In desperation, her family contacts the Perkins Institute for the Blind in Boston, who send a young teacher named Annie Sullivan (Anne Bancroft) to be her governess. The Miracle Worker, which is based on Keller's 1902 autobiography, began as a 1957 episode of the TV series, Playhouse 90, with Teresa Wright playing Annie and Patty McCormack playing Helen. The episode's writer, William Gibson, then adapted his script into a Broadway play that featured Bancroft and Duke in the two leads. The play was a huge hit, and it won five Tony Awards, including best play and best actress for Bancroft. In sixties Hollywood, Broadway success usually meant a screen adaptation, and when the play finished its run in 1961, United Artists executives approached Gibson and the play's director Arthur Penn about bringing The Miracle Worker to the big screen. Although the studio was happy with maintaining the play's behind-the-scenes talent, they lobbied hard for bigger names in front of the camera. Elizabeth Taylor was the first choice for the role of Annie, and there was also some concern that the 15-year-old Duke was too old to play the 7-year-old Keller, but the studio relented after Penn refused to work with any other actors. The result was a critically praised film that won both Bancroft and Duke much-deserved Academy Awards. 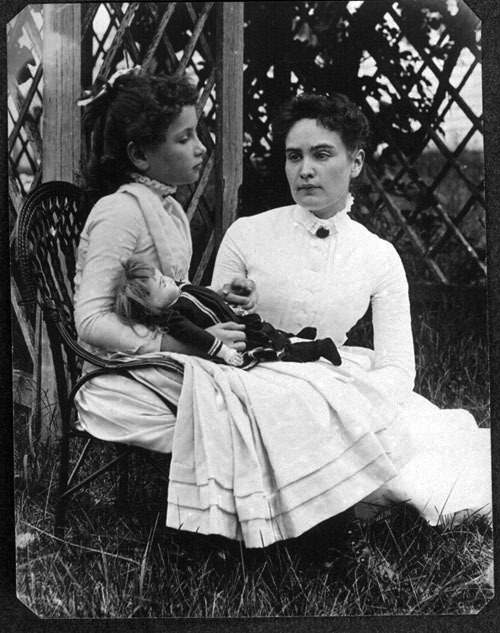 Helen Keller and Annie Sullivan in 1888. Today, The Miracle Worker is one of the classic movies that have entered the pop culture lexicon. The famous scene where Helen learns the meaning of the word "water," has been the subject of countless imitations and parodies, but, despite that fact, the movie is still a powerful statement on living with a disability. By 1962, Keller was revered as an American icon, but the movie does not soft pedal how difficult she was as a child. Her parents couldn't or wouldn't instill any discipline into young Helen, which made her a spoiled brat who destroyed the furniture and bit, kicked, and slapped when she didn't get her way. When Annie tries to teach Helen to eat breakfast at the table, the result is an intense physical struggle that is one of the great fight scenes in movie history (seriously, it's like Crouching Tiger, Hidden Dragon with scrambled eggs). 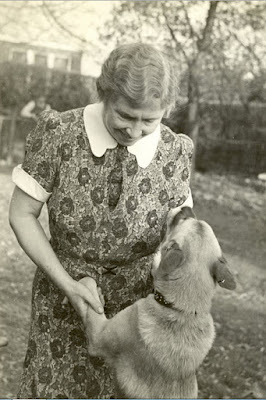 Hellen Keller and her beloved Akita, Kamikaze. The Miracle Worker also makes the point that living with profound physical disabilities does not mean that someone is intellectually disabled. Helen was extremely intelligent -- it's part of the reason she acted out so much -- but no one in her family will believe it. Some members of the family refer to her by the cruel term "mentally defective," and her father repeatedly scolds Annie for trying to communicate with her because he believes she just isn't capable of learning anything. Instead, he urges Annie to have "pity" on Helen, and in view of Keller's later accomplishments, it's chilling to think of what her father's advice would have actually meant. She would have never been the first deaf and blind person to earn a bachelor's degree, she wouldn't have become friends with the likes of Mark Twain and Charlie Chaplin, and she wouldn't have become a forceful advocate for those with disabilities. She would have probably lived out her days in rural Alabama, or even worse, an asylum, trapped within the prison of her own mind. I'll leave you with this lovely film clip of Annie Sullivan and Helen Keller as adults. The Miracle Worker is available on DVD and video on demand. Both ladies earned their Oscars in that scene. Great discussion. Love the photos and clips. I remember seeing the scene when Helen is grabbing food off everyone's plates when I was little and thinking it was a terrible looking movie. I really need to watch it now as an adult. I saw it as a kid too and I thought my parents must be pretty lucky cause I never destroyed their dining room during a scrambled eggs tantrum.